NCAA: def. Murray State, 85-68 (round of 64); def. Marshall, 94-71 (round of 32); lost to Villanova, 90-78 (Sweet 16). Seniors losing: G Jevon Carter (17.3 ppg, 4.6 rpg, team-leading 246 assists, team-leading 112 steals), G Daxter Miles Jr. (12.9 ppg, 2.8 rpg, 110 assists, 47 steals). Any NBA Bound? 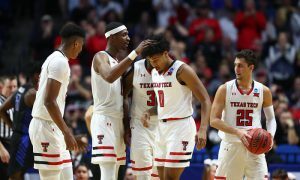 : Carter has a good chance to be drafted in June’s NBA Draft, perhaps in the first round. Miles may not be drafted but he’ll end up on a Summer League team and, potentially, in an NBA training camp. Transfers: D’Angelo Hunter announced his transfer from West Virginia after the season ended. He has one year of eligibility left. Top players returning: F Sagaba Konate (10.8 ppg, 7.6 rpg), F Esa Ahmad (10.2 ppg, 5.5 rpg), F Lamont West (9.4 ppg, 3.8 rpg), G James Bolden (8.7 ppg), F Teddy Allen (7.0 ppg, 2.7. rpg), G Wesley Harris (5.3 ppg, 3.6 rpg). The player you don’t know about: G Brandon Knapper. The former three-time All-State player in West Virginia averaged 18 points and 3.1 assists per game for Hargrave Military Academy and 28.5 ppg for South Charleston High. He could be the player that steps into Carter’s or Miles’ shoes next season. At the least, he should compete for playing time with Bolden and West and provide a needed scoring boost off the bench to start the season. He missed the 2017-18 season with a knee injury. Recruits already in the house: PG Jordan McCabe, 5-foot-10, Kaukauna, Washington; PF Derek Culver, 6-foot-8, Wolfeboro, New Hampshire (Brewster Academy); SG Trey Doomes, 6-foot-3, Fort Lauderdale, Florida (University School); PF Andrew Gordon, 6-foot-10, Niceville, Florida (Northwest Florida State College). McCabe and Culver are four-star players, per 247sports.com, and both are Top 110 nationally. Commitments yet to sign: 247Sports.com currently has West Virginia with no further commitments. Summarizing the season: At one point this season the Mountaineers were ranked No. 2 in the nation. 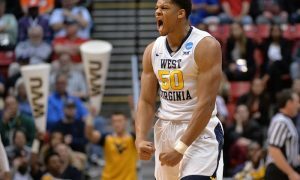 From that ranking in early January West Virginia experienced some peaks and valleys, but ultimately they surged at the end of the season to reach the Big 12 Tournament championship game and the Sweet 16. 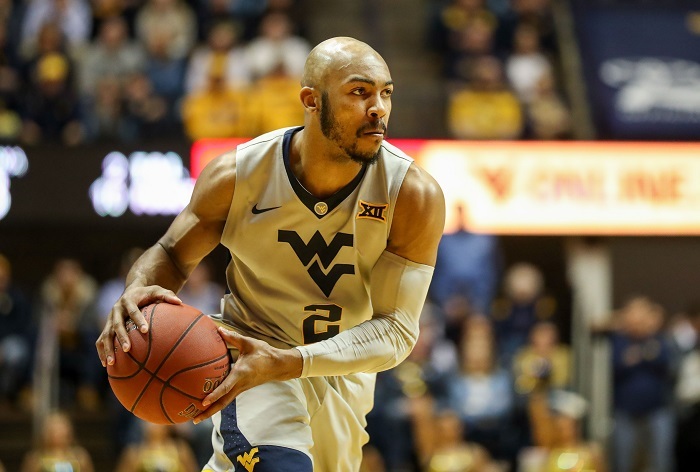 Carter elevated his game offensively this season and at times carried the Mountaineers when players like Miles experienced troughs in their play. Konate grew exponentially as the season went on, becoming one of the game’s most feared interior defenders and adding low-post offense to his game. At various times Bolden, Allen, West and Harris provided key contributions. Ahmad returned at midseason to give the Mountaineers a boost inside. 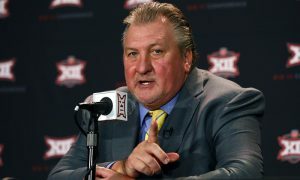 Head coach Bob Huggins pulled the right strings at the right time to get the Mountaineers through the rough patches of the season. Looking ahead to 2018-19: Replacing Carter and Miles will be awfully tough. Both were four-year starters. This will be a different team in 2018-19, especially mentally. The good news is there is a solid starting lineup returning. If Allen can become a more consistent player he could end up being the Mountaineers’ leading scorer next season. Of course, it could end up being Knapper, as long as he’s ready to go. Konate could be a double-double machine next season and projects as the best overall center in the Big 12. The real question is who replaces the defense and leadership of Carter. It could be Bolden, who showed himself to be a reliable defender working in tandem with Carter. The Mountaineers should ultimately be just as good next season as they were this season, with the leadership on the floor the biggest question mark.